As Interim HR-Manager, Marianne Baan has over twenty years of broad functional expertise in Human Resources Management with focus on Change & Transition Management and (e-)Coaching Leaders & Influencers in multicultural, international and dynamic environment. She has worked in a wide range of Branded Business eg Pharmaceutical, Automotive, Logistics, IT, FMCG. She has a balanced strategic and hands-on approach. * Languages: Dutch native; English excellent; French good; German good. 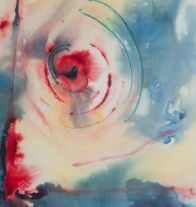 Marianne "draws" directly with the raw material she works with and lets the paint-flow and material inspire and lead her. 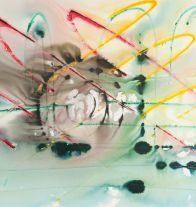 Organic and abstract motifs emerge from working with the erratic movement of paint. Her sources of inspiration are music, nature and societal dynamics. She explains: Choosing color, material and subject is a creative process meant to reflect what inspires me and at the same time to create viewers' awareness and inspiration. This interactive creative manifestation enables her to capture and respond to the moment which explains the dynamics in her work. Her work balances on the edge of figurative and abstract. This is meant to challenge the viewer and to appeal to freedom of new creative manifestations to emerge while at the same moment reflecting universal reality.